With the most succulent, freshest chicken on offer, we’re simply the best chicken shop around. 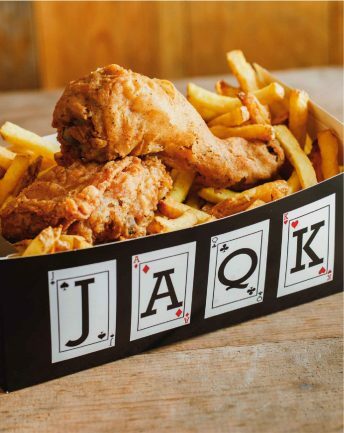 Whether it’s for a lunchtime meal or a meal to share, JAQK’S offer the best chicken and chips in the country by using our own handmade range of herbs and spices to coat all of our chicken. The pengest of all munch, as it were. 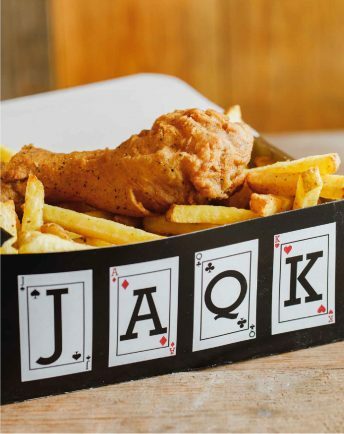 One piece of our in-store coated fried chicken served with traditional chips or fries. Two pieces of our in-store fried chicken served with traditional chips or fries. 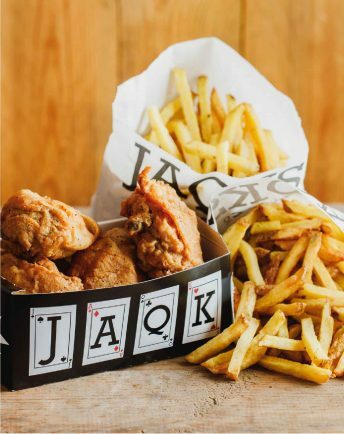 For the hungry amongst you, choose either a servings of 4 pieces of chicken with 2 regular chips (or fries) or 6 pieces of chicken with 3 regular chips (or fries). 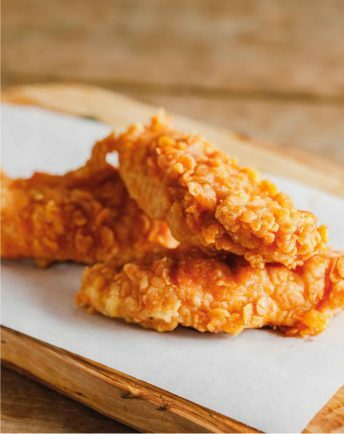 Freshly cooked, 100% boneless chicken strips prepared in store using either our original or hot n spicy flavour coating. Available to buy as 3 or 5 pieces.